Just 30 minutes away from Verona, Palazzo Arzaga Hotel Spa and Golf Resort is located between Lake Garda and the Alpine foothills. One of the finest resorts in the whole of Europe, Palazzo Arzaga is famous for its professional golf courses, world class spa and award winning cuisine. Steeped in history, oozing with old world luxury, Palazzo Arzaga is a finely restored 15th century manor house only recently transformed into a sumptuous 5 star hotel. 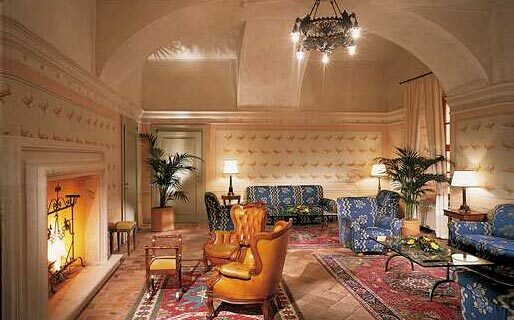 Guestrooms are located in the 15th century palazzo, in the San Martino residence and the Castagni residence. Equipped with every comfort, all Palazzo Arzaga's bedrooms and suites are individually appointed with exquisite antiques and artworks.The luxurious bathrooms are fitted with the finest Italian marble. Antique chandeliers, stone fireplaces, a terrace for al fresco dining: Palazzo Arzaga'srestaurant Il Moretto provides the idyllic setting for a meal you'll never forget! Need another reason to choose Palazzo Arzaga? How about the splendid Golf Club complete with two courses (18 and 9 holes) and golf school?, or the spectacular in and outdoor swimming pools? 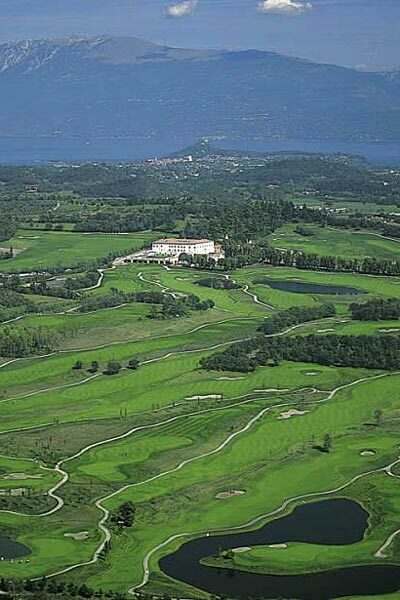 or the wellness center, immersed in the green countryside surrounding Lake Garda? With its elegant function rooms and superb banqueting services, Palazzo Arzaga Hotel SPA & Golf Resort is a much sought-after location for high profile conferences, business meetings and social events. Palazzo Arzaga Hotel, Spa & Golf Resort is only 30 minutes from Verona, surrounded by a wealth of art as well as cultural and gastronomic regions such as Franciacorta and Mantova. The resort is nestled in the picturesque hills near Lake Garda, set in a stunning natural reserve.